So far, so good. Assistant Manager has been most helpful. Hoping the community patios get fixed soon! I really enjoy the community events - thanks for those! It’s been great so far. We’ve only been here through the winter but it’s been nice. Wish the roof tops weren’t always under construction. Front desk people are nice. Dog fee doesn’t make sense because the room is still a mess from the previous owner. I love it here! The only issue I have is with noise. The walls are thin and people outside are loud at all hours. Other than that, the amenities and location are great. The friendly staff here are great. They make it really quick, easy, and painless to get help with getting packages in either the office or the hub! Thus far, this place has been great. Very nice units, and great Staff! I moved here from the north east, and the staff helped me with everything while I was so far away. Just moved in, beautiful apartment, great location. Only compliant (and it’s minor) is that the pool table sticks (probably has a better name than this) are not in great condition. Location is perfect! Moving in was easy. Andy took great care of us! Love all the amenities especially the gym. Maintenance fixes everything quickly! It’s a great apartment complex with nice amenities. I would give five stars except for repeated non responsiveness around one of the grills not working and sometimes office staff has not been so friendly. We enjoy living here though and appreciated working with Andy who was great upon moving in. They also host some fun community events which is really nice. Thanks. William, We really appreciate your positive review! If you ever need anything else from us, please feel free to give us a call or stop by. Have an awesome day! It's been good. Management has been very responsive when it comes to service requests and warning about services and events. One place there could be improvement is notifying about packages when it's not in the Amazon locker. Great location, fantastic amenities, lovely staff and responsive maintenance, what more could you ask for? Ok... free rent maybe :) The only downside is I hear my upstairs neighbor's every footstep. I've nicknamed him or her "Stompy". We love it here! Very cute, modern apartment studio. We have a dog and the trash for pet waste is conveniently on every side of building. D Bar and Tap Fourteen are right below the building along with our favorite coffee shop across the street, Fluid Coffee Bar. Convenient parking in garage and beautiful outside pool/hot tub area! The apartment building is clean, quiet and welcoming. Everyone from the residents to the cleaning staff have been friendly and helpful. I've already got to utilize the ski repair area to wax my skis! Good stuff. A wonderful community with great amenities! The apartments are nice and maintenance and staff are always helpful with any issues. Very happy living here! I have had a great experience so far! The amenities are great, and the complex is always clean. I love having a washer/dryer in my unit as well. Lived here almost four years so of course I love it. Although there seems to be some division among staff. Rumors of an office bully going around doesn’t set well with tenants. I really like living here. The area is the best in Denver with restaurant row, LoDo, RiNo and five points all within a mile or less. I would highly suggest living here. One City Block is a great place to live!! The proximity to downtown makes it incredibly easy to walk almost anywhere and there are lots of great restaurants and bars close to the complex. The amenities are outstanding! The gym, pool and community are all very nice. And having garage parking is a big plus! I love living at One City Block. The building is quiet and clean. There are a lot of great amenities to use including the gym, hot tub and pool table. The apartment community is very well kept and safe. The amenities are great and maintained well. The parking garage is well lit and kept also. 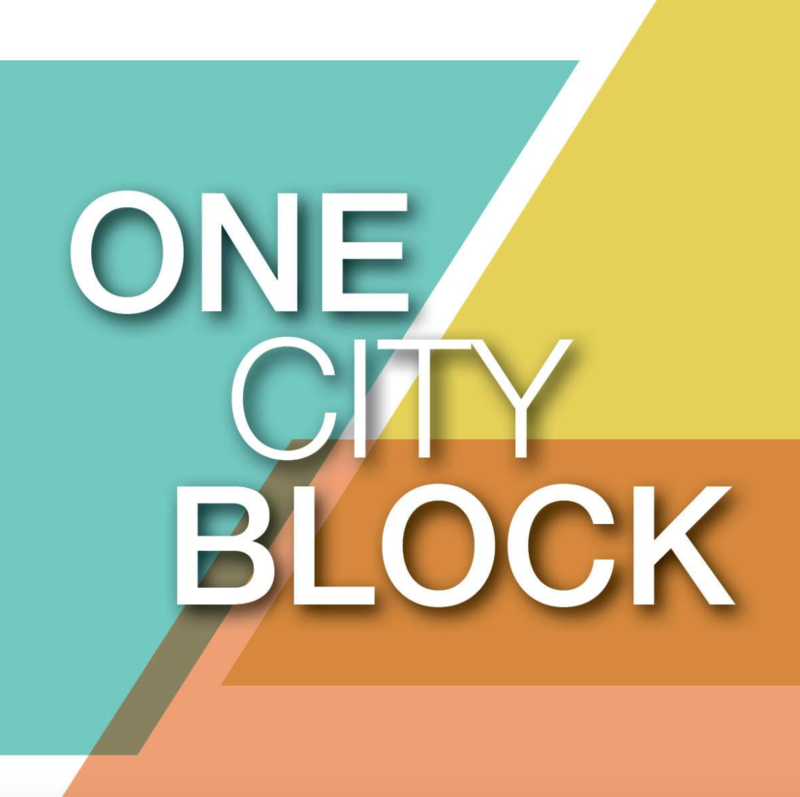 Angelee, We are so happy to read such a great review about One City Block! Thank you, and have a fantastic day! I’ve lived here three years and love this building! The amenities are above average and maintenance responds promptly to requests. The building will need some updates in the coming years like new carpet. The resident assistants are very responsive and always looking to lend a helping hand. Always a great resource to help you find a delivered package from the office to the hub. Kevin, Thank you for your kind review; we are happy to pass along your comments to the team here at One City Block!